No jibber jabber from me today, just a few pictures. 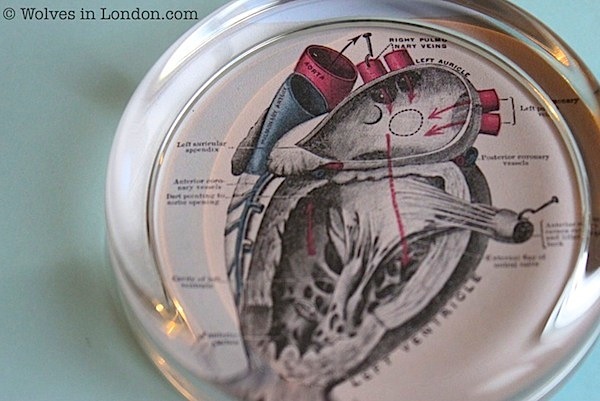 I revisited the paperweights I made for Christmas and used Valentine’s Day images to create some nice, weighty, non-cheesy Valentine’s Day presents. Two different options here. I can’t quite decide which one I prefer at the moment. Both images were from the Graphics Fairy blog: black and white heart and colourful heart. From aorta to vena cava, I love you with all my heart. Another heart, this one with colours. Which is nicer d’you reckon? This image really made me smile: a little Bob Cratchit type man, sitting and reading a Valentine’s letter instead of a financial report (or, at least, that’s what I imagine he normally reads). Image found from Clip Art Etc: Valentine’s day. 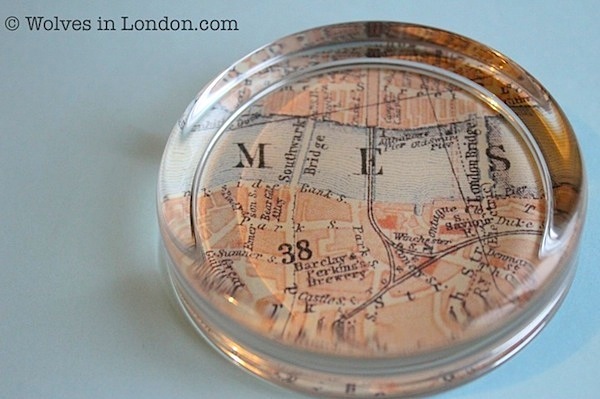 Finally, I think this is my favourite (and most romantic) idea: a paperweight with a significant location displayed. You could use the place you first met, went on your first date, got married etc. I used a vintage London map here, but you could always just use an ordnance survey map, or whatever’s easier to lay your hands on. And just because I particularly like this idea, here’s the side view as well. Graphic for this found on the Graphics Fairy blog: vintage London map. Yup, I really am showing you a second photo just so you can see this from the side. Lucky you, eh? So, tell me, what would you put inside a paperweight for your Valentine? Katie’s Nesting Spot, Creative Juice at Momnivore’s Dilemma, Transformation Thursday at the Shabby Creek Cottage, Glued to my Crafts, Serenity Now. Great use of Karen’s graphics! Hi. I’m coming to you from the link party at Katie’s Nesting Spot ~ you are right in front of my posted link. 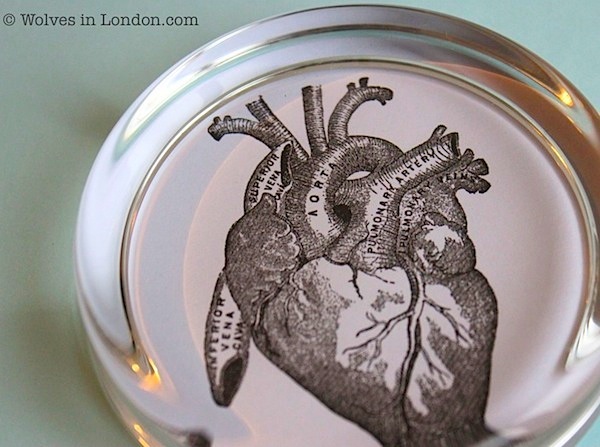 I really like the Relief from Business and Map paperweights, but find those two top heart ones creepy, which is funny, because I’m a nurse. 🙂 I spent some time looking around your blog and I really like it. I’ll check back again. Have a lovely day. Ha ha ha, I guess they are a bit creepy in a way! I quite like that they’re all anatomically correct hearts though, but then my partner’s very into all things sciencey, so maybe these are just good for him! Thanks for your nice comments about my blog as well, that’s lovely to hear.